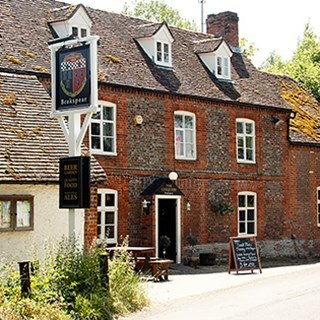 The Chequers Inn is situated in the picturesque village of Berrick Salome in Oxfordshire, close to the market town of Wallingford and RAF Benson and only a 15 minute drive to Reading, Oxford and Henley on Thames alike. Since taking it over as their second pub venture is September 2014 Mark and Sandra have breathed new life back into the pub which had become disregarded with a inconsistent reputation after the previous landlord. The pub, similar to its sister site; The Three Tuns, offers a fabulous fresh food menu, combining pub classics such as Brakspear battered cod and chips, pie of the day with homemade rough puff pastry lid as well as interesting seasonal dishes such as goats cheese soufflé with wild garlic pesto. All are produced using modern cooking techniques with skilled chefs which give the food the edge on flavour! 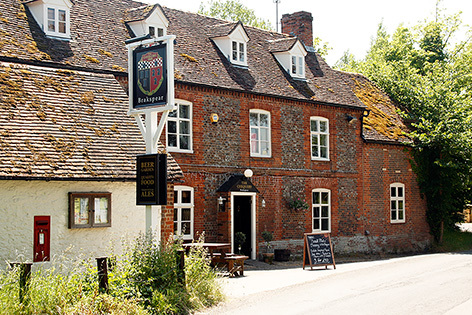 The Chequers has earned a recommendation in the Michelin Guide in just its first year! Menus change with the seasons to reflect the best of what is available from our local suppliers or from our own garden and neighbours allotments (please note the pub is closed on Tuesdays). Its well renowned Sunday lunch menu, with melt in the mouth rare roast beef and Watlington Free Range Pork Loin; described by many as the best pork they have ever eaten should not be missed - ensure you book on Sundays or you may not get a seat. Food was excellent but service seemed a little stretched on the day. The staff were lovely but just too busy to provide good service. We brought guests - they were impressed and enjoyed the meal!! An excellent lunch party put on by Mark, Alex and the team. Superb food served in the private room to the rear and a brilliant day was had by all. First class welcome, service and food. Seventeen of us, aged between five and eighty-five had a wonderful birthday Sunday lunch. Special dietary requirements were discussed in advance and catered for. We could find no fault- it was great. We booked a table for Mother's Day. Despite it being very busy, all staff where friendly, helpful and efficient. Including our parking attendance outside! Definitely recommend and definitely come back. Excellent new spring menu. The sharing smoked platter was varied and excellent value. Onion rings were delicious. Nice and bustling - service was efficient and food came out in good time. Very enjoyable evening. This was our first visit and did not disappoint. Very impressed with the menu variety, and all the dishes were excellent. Great place to eat, food is first class. Booking online was easy, Service  friendly and attentive, food very tasty and good value. Another lovely family evening with great food & service.